LinkedIn Jumps in on the Native Video Craze by Introducing 30 second Videos. When LinkedIn launched published posts they offered it first to their influencers before rolling it out to all users. The video’s will appear directly in your home page news feed. You can leave a comment and engage with others who leave comments. In my experience it isn’t likely the influencers will acknowledge you back, so think of it more as a way for you to engage with others who are interested in the same topic. LinkedIn has developed a new APP called “LinkedIn Record” which is currently only available to the influencers that are participating in their launch, and when this is released to everyone you will be able to download the APP in the iTunes store. Currently LinkedIn Record provides access to selection of questions to which users can choose to respond by creating a short video which they can then publish direct to LinkedIn. The app also enables users to track engagement and see how their followers are responding to their uploads. I found the APP in the iTunes store and was able to upload it to my iphone but I was not allowed to login. What is the Impact of Video on Social Media Sites? Video isn’t new, in 2013 Facebook launched video and by 2014. Growth in video views exceeded 50% from May through July of 2014 and since June there has been an average of more than 1 billion video views on Facebook every day! Video is one of the most engaging and immersive ways to tell your story and increase visibility on LinkedIn. If you think video is only about puppy video’s and baby pictures you would be wrong. Big companies are using video on their pages to tell their brand story, share their company culture and of course advertise. It seems people are more likely to watch a 30 second video and they are to read and I think that is due to information overload coming at us from all fronts. Video has also been popular on feature on Twitter, Snap Chat and coming to Pinterest. So it really is no wonder LinkedIn has been in development. What Impact Will Video Have on LinkedIn? First you can’t ignore video so it makes sense that LinkedIn jumps in on the native video craze. We all know that LinkedIn is the #1 professional social media network so why not? Professionals have stories and to tell and getting creative with video for business has been effective as proven by Facebook business pages. 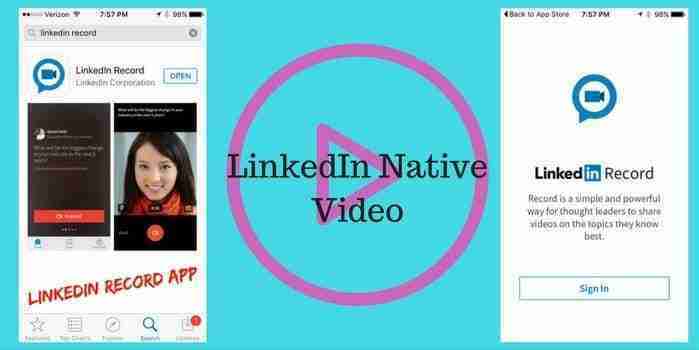 Will LinkedIn offer native video for company pages? I sure hope so because if they don’t that will be a strike out! It is possible LinkedIn will introduce videos as a Premium-only feature – they did the same for background images at first before eventually making them available to all users. It is also a possibility they will find a way to charge users for specific access to video options. There would be a definitive competitive advantage for those using video as a brand. Getting noticed with a professional profile that stands out is paramount to success, just imagine if your profile has a video feature where you can talk about yourself! Some may find this awkward, but for those who don’t video will set them apart without a doubt. As always, there will be naysayers who will be concerned that the news feed will be filled with cat video’s but if used strategically this will be a game changer for the creative, innovative thinkers. 4. Entertain – ok so people do love funny video’s, how can you create something fun and memorable? 6. Engage and inspire – what do people love about you and your business? Answer a customer question. If you are already using Facebook Live video than you are a step ahead and you could be sharing you content strategy across multiple platforms. If not, you want to develop a content strategy now and be ready when this is released to all users. If you have already begun to create content but are struggling to get the results you were expecting, you might want to start with an honest assessment of your content efforts. 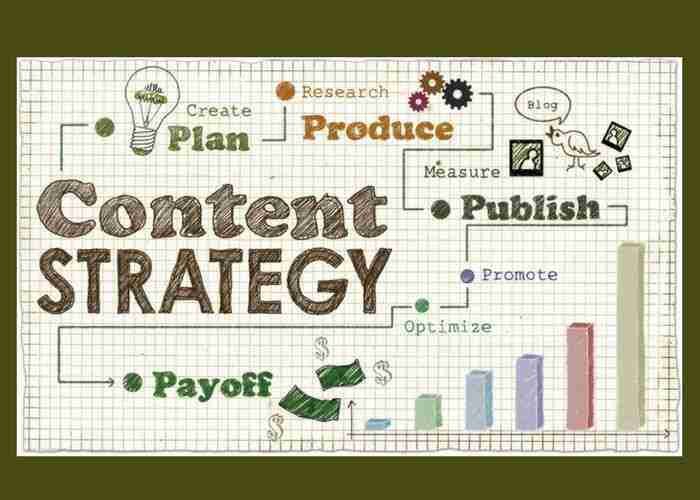 Are we doing true content marketing, or are we simply trying to make content fit into your traditional marketing processes? According to an article in Tech Crunch, LinkedIn’s Product Manager, Sherman-Presser said there will be no ads or any fees at all associated with the creation or broadcast of videos, although given that LinkedIn has a strong premium (paying) subscriber business, and is also working all the time to build out its advertising business, it seems like an obvious progression for both of these to come online at some point. And the same will go for who will be able to create videos, and where else video appears around the site beyond in-stream as short Q&A posts. LinkedIn’s new features are fun and help you showcase your professional achievements by uploading presentations and video to your profile. Our services include adding video to expand your visibility on LinkedIn. What do you think about live video for LinkedIn? Leave your comments below. Wow, what a great move, albeit late to the game, by LinkedIn. Some video tips; Don’t shoot out the window, make your face the brightest image on the screen. No wide shots, we need to see your eyes! Keep your backgrounds neutral or possible place an image or logo brand. Pay attention to ambient sound, CPU fans, office, traffic or jet noise. (I remember one early video blogger did interviews in coffee shops, all I heard was the expresso machine hiss and background chatter) If possible invest in a good mic and consider some bounce lighting behind the camera. Now for content; keep is short, simple, benefits vs features and how can this video message support your marketing goals and drive conversions. Just offering some suggestion!! thanks Michele, glad you found the article useful!